The second of three children born to Walter David Counts and Alma Johnston Counts, W. David Counts, Jr. was born at Munday, in Knox County, Texas on July 14, 1936. David shared his childhood with older sister Patsy (Pat) and younger sister Cheryl, now Patsy Grimsley and Cheryl Robinson. His father died in 1983. His mother Alma at this writing remains active and continues to reside in Rule, Texas where David was raised. Military activities began for David in 1953 when he enlisted in the Army National Guard at age seventeen. He graduated from the noncommissioned officers training course at Fort Benning, Georgia in 1957, followed by his graduation in 1959 from Officer Candidate School at Fort Benning, Georgia, and in 1979 he graduated from the Unites States Army Command and Staff College. David retired from the Army National Guard with the rank of Colonel, and in 1999 was promoted to Brigadier General (Brevet) by then Governor George W, Bush. Awards and recognitions earned during his lengthy and honorable military service include the General K. L. Bailey Award for heroism in 1966 and the Minute Man Award for outstanding service. David returned to Knox County where in 1960 he founded Counts Insurance Agency in Knox City which he owned and operated until 1995. While in the insurance business he formed and still owns and operates Counts Real Estate Agency. From 1968 to 1978 he owned a bookkeeping and tax service. Other business and professional interests have included serving as vice president and director of Rolling Plains Well Service from 1984 until 2004; as president and chairman of Chap Operating, Inc. since 2000, and as director and treasurer of Perry Pump Service from 2000 through 2004. His agricultural interests include growing wheat and cotton crops on family owned farms and ranches in Knox, Stonewall and Haskell counties. In addition to his varied and professional activities, David is a director of First Bank of West Texas and Western Bancshares. Brother Counts’ statewide public service began with his election to the state legislature in 1988. Over a span of fifteen years as an effective and productive legislator David served fourteen years as a member of the House Energy Council; ten years as chairman of the Natural Resources Committee; ten years as a member of the House Redistricting Committee, and several years as a member of several diverse committees including the House Insurance Committee, House State Affairs Committee, Electric Utility Restructuring and Oversight Committee, Telephone Restructuring Legislative Oversight Committee, House Select Committee on Rural Issues, House Select Committee on Military and Veterans Affairs, and Electric Utility Interim Study on Affected Tax Units. David also served as co-chairman of the Committee on Insurance Modernization, and two years on the House Select Committee on State Bond Resources. Additionally, as a member of the Texas House of Representatives, David coordinated the Grand Lodge of Texas ceremony leveling the cornerstone of the Bob Bullock State Historical Museum in Austin and in 1995 authored the constitutional amendment to exempt Masonic Lodges from ad-valorem taxes. Again in 1999 he co-authored legislation to allow taxing entities the option to exempt Masonic Lodges from ad-valorem taxes. Active in his community, David has served twenty years as a director of the Knox City Chamber of Commerce, and in 1979 he was honored by the community with his selection as Knox City’s Most Appreciated Citizen. He is a member of the Board of Development at Hardin-Simmons University of Abilene, Texas, Texas State Technical College Rolling Plains Technical Foundation in Sweetwater, Texas and of the Texas Association of Realtors. He and Mary are members of the First Baptist Church of Knox City, and David contributes time and resources to the work of Gideons International, an organization of Christian laymen who distribute copies of the Holy Bible in several languages throughout the world. Every journey begins with the first step, and David’s first Masonic step began with his acceptance as a candidate for the degrees of Freemasonry in Orient Lodge No. 905 of Knox City where he was initiated, passed and was raised to the sublime degree of Master Mason on April 24, 1961. Since that time he has served three separate terms as Worshipful Master of his lodge, and was named chairman of the Building Committee. In recognition of his many Masonic and civic contributions, he was awarded the prestigious Golden Trowel Award by his lodge in 1996. In addition he is an endowed plural member of Milam Lodge No. 11, Henry Thomas Lodge No. 278, Olive Branch Lodge No.26, Tranquility Lodge No. 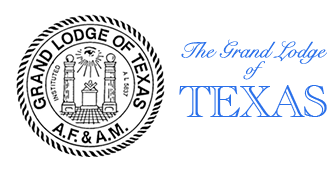 2000 and Texas Lodge of Research and is an endowed charter member of Point Isabel Lodge No. 33. His service to the Grand Lodge of Texas began with his appointment by then Grand Master Jack Hightower to serve as Right Worshipful District Deputy Grand Master of Masonic District No. 90 during the 1971-1972 Grand Lodge year. He was appointed as Right Worshipful Grand Orator by Grand Master Elmer Murphey, III and served as such during the 2004-2005 Grand Lodge year. 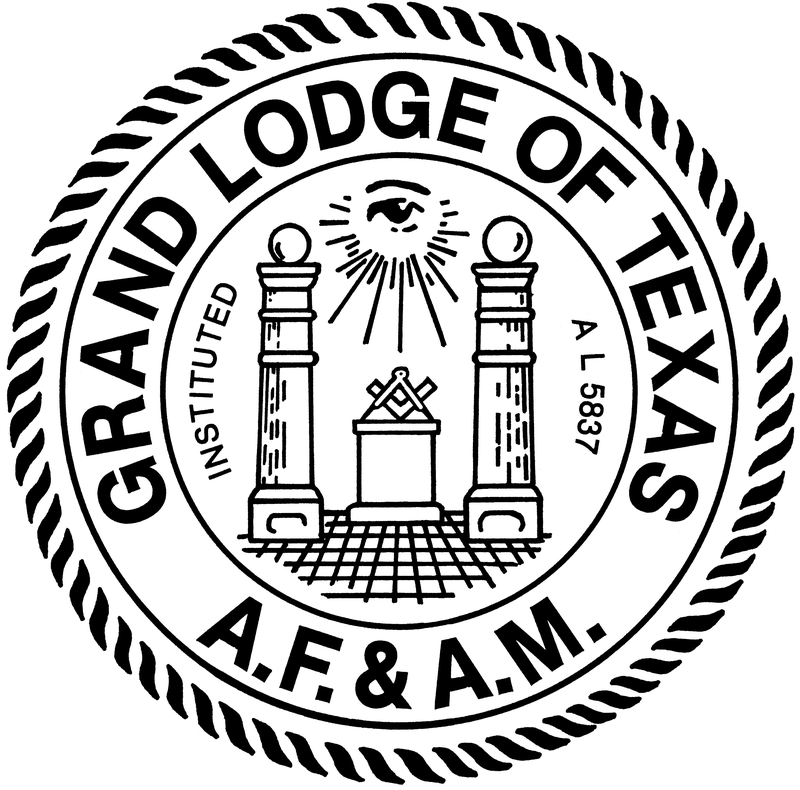 At the 2005 Annual Grand Communication of the Grand Lodge of Texas he presented a resolution that was adopted to establish The Texas Masonic Foundation. Bro Counts was elected and installed as Right Worshipful Grand Junior Warden on December 3, 2005. 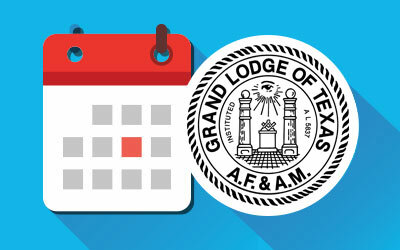 Normal progression led to his election and installation as Grand Senior Warden on December 9, 2006, as Deputy Grand Master on December 8, 2007 and as Most Worshipful Grand Master, the highest office in Texas Masonry on December 6, 2008 for the term ending on December 5, 2009. In 1962 David received the Scottish Rite Degrees in the Valley of Dallas, and has since affiliated with the Scottish Rite Valley of Lubbock as a Charter member, and from 1975 through 1988 he was a member of the 17^th degree team. He has since affiliated with the Austin Scottish Rite. His recognition by the Supreme Council of the Ancient and Accepted Scottish Rite of Freemasonry led to his investiture with the Rank and Decoration of Knight Commander of the Court of Honour. In 2003, the Supreme Council elected him to receive the 33^rd Degree when he assumed the title of Inspector General Honorary to become an Honorary Member of the Supreme Council. As a Scottish Rite Mason, David proudly serves as a trustee of the Texas Scottish Rite Hospital for Children located in Dallas, Texas. He became a member of Mascat Shrine in Wichita Falls in 1962, and is a member of Omala Grotto in San Antonio. It was his desire to become a complete Mason that in 1966 led David to petition Orient Chapter No. 181, Royal Arch Masons of Knox City where he was exalted a Royal Arch Mason, and has served three separate terms of Most Excellent High Priest of that Chapter. His service as District Deputy Grand High Priest of the Most Excellent Grand Royal Arch Chapter of Texas was in 2007 while serving as Right Worshipful Grand Senior Warden of the Most Worshipful Grand Lodge of Texas. He affiliated with Llano Chapter No. 197 as a plural member, and served as Most Excellent High Priest of that Chapter in 2004. Having been greeted as a Select Master in Orient Council No. 119, Royal & Select Masters of Knox City he served as Thrice Illustrious Master of that Council on three separate occasions. His affiliation as a plural member of Llano Council No. 135, Royal & Select Masters led to his service as Thrice Illustrious Master in 2004. 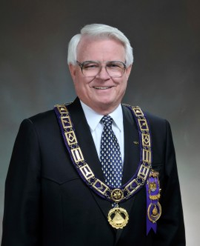 His service to the Most Illustrious Grand Council of Royal and Select Masters includes that of Grand Representative to the Grand Council of California and as District Deputy Grand Master of the Grand Council in 2005 while serving as Right Worshipful Grand Orator of the Most Worshipful Grand Lodge of Texas. It would simply follow that David receive the Orders of the Commandery, being knighted in Haskell Commandery No. 49 in 1967, later affiliating with Stanford Commandery No. 75 where he presided as Eminent Commander of that Commandery in 2006-2007. He is also an affiliated member of Llano Commandery No. 54. In recognition of his leadership in various York Rite organizations, David has received the Order of High Priesthood, Order of the Silver Trowel, and has been received as a Knight of York Cross of Honor in Texas Priory No. 23. His interest in and his support of the Knight Templar Eye Foundation is indicated by his standing as a Patron member of that charitable endeavor of Knights Templar. David’s continuing service to those organizations affiliated with the York Rite of Freemasonry has brought about activity as a member of Star of Bethlehem Conclave, Red Cross of Constantine; Past Governor of Texas York Rite College No. 14, dual member of Heart of Texas York Rite College No. 128; Past Excellent Chief of J. M. Willson Council No. 92, dual member of Libertas Council No. 83, Knight Masons and Past Sovereign Master of A. E. Killion Chapter No. 452, dual member of Wichita Falls Chapter 351, Allied Masonic Degrees. As a member of the National Sojourners, he is a member of Lone Star Chapter No. 149 at Abilene and Audie Leon Murphy Chapter No. 112 of Dallas. He is also a member of Goliad Camp, Heroes of ’76, and a member of the Grand Lodge Library and Museum Sam Houston Hall of Fame. A member of the Grand Lodge Library and Museum Sam Houston Hall of Fame he is also a Patron of the Library and Museum. David has served as treasurer of the Masonic Children and Family Services of Texas (Formerly Masonic Home and School) since September of 2007. Such a man, husband, father, grandfather, citizen and mason is Walter David Counts, Jr. Dependable, reliable, dedicated and committed to leave a path for the future to chart its course. May God bless his leadership of Texas Masons.